What kid doesn't love some good ice cream? It is tasty, fun and wonderful to have. 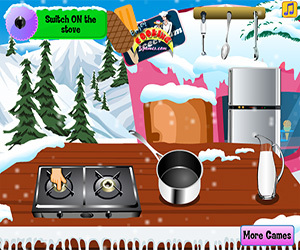 Children can make their own types of ice cream dishes thanks to cooking games. Your kids may think of it as something that can be bought, but what about actually making it? Most people have no idea how to make it but thanks to Ice Cream Crazy, you can not only make it, but you can actually see the end result. 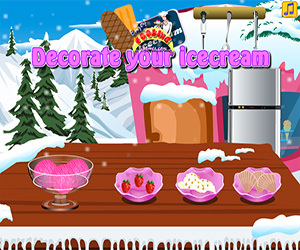 With your child, using simple mouse clicks, you can help your kid mix up the ice cream, freeze it and even add fruits and other delightful desserts to it. The wonderful thing about Ice Cream Crazy is that you can have all the fun of making it without the time of making it or the risk of it not turning out properly. With Ice Cream Crazy, every batch turns out perfect.